EduShyster: I thought we could start out with a little TV viewing. Here’s one of the latest spots for the campaign to lift the charter school cap in Massachusetts, and it features none other than our own governor, Charlie Baker. The spot is just 30 seconds long, but my sense of confusion persisted long after that. The Governor doesn’t seem to be talking about the same ballot question that I’m helpfully linking to here. Tracy Novick: It is not accurate to say that Question Two is only about nine cities. Right now, when the state considers new charter schools, priority goes to school districts in the lowest 10% of performance. But under the ballot question, the district performance doesn’t even have to be considered unless the state gets more than 12 applications in a year. The largest number of schools the state has actually chartered in a year date back to the mid 90’s, when they chose six or seven in a year. Having more than 12 applications isn’t likely. That means the charters really could go anywhere. Question Two actually replaces a system where some of those nine cities are first in line with one where most of the time they won’t be. EduShyster: I’ve actually been feeling a little bad for the suburban charter schools these days. They’ve been completely ignored during our frenzied debate. For example, the school with the longest wait list is the state isn’t in one of Baker’s nine cities. It’s Mystic Valley, which draws from suburbs around Boston and is in hot demand among parents who want a private school education at public school prices. Novick: The same is true of Sturgis on the Cape, of the Advanced Math and Science Academy in Marlborough, and the Pioneer Valley Chinese Immersion Charter School in Western Mass. And those are schools that have some serious resources, in term of facilities and fundraising. I can really see boutique kinds of schools being very happy to open up in places like Cambridge and Somerville and Amherst and in the suburbs of Central Mass. These are the schools where somebody has an idea and thinks: *wouldn’t it be cool if…* And because the schools get the per-pupil rate, the funding in those communities is actually quite a bit higher than in the urban districts. For example, the Old Sturbridge Village Charter School that has applied to open manages to meet the state’s criterion in terms of underperforming districts because they scooped in Southbridge, but a lot of the people who are expressing interest in the school are middle class parents who are more interested in the ethos of Old Sturbridge Village in the 1830s. EduShyster: At last count, 202 school committees across Massachusetts have voted to oppose Question 2. I will confess that as knowledgeable as I am, this was not something I predicted. As a former school committee woman yourself, are you surprised by the united response of your former fellows? Novick: It’s definitely taken me by surprise. We don’t know that there has ever been this amount of united action by school committees across the state. And they’re doing it virally. They’re talking to each other. A school committee will read that another school committee has voted, or they’ll learn about it from parents or teachers. There’s a pretty clear rejection here of the story line that Question 2 won’t hurt anyone’s budget. School committees concern themselves with two things: one is policy, the other is budget. So you’re talking about people who spend months of the year steeped in school budgets. You can run all of the ads you want to and say that charters don’t affect the budget, but these are the people who know that they do. 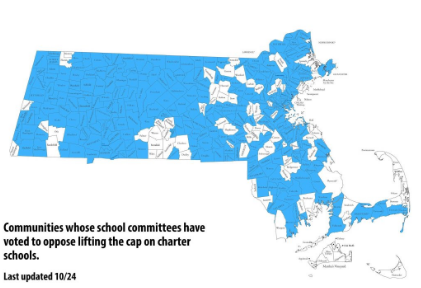 And part of what you’re hearing from Boston and other cities is that the state doesn’t fully fund the charter school reimbursement, either the budget gets cut or the city has to kick in the money locally, and cities have other stuff that they have to do. In Lowell, for example, the city has seen a drastic spike in what it pays for charter schools from the municipal budget. And as the city manager pointed out, Lowell also needs to pave its roads and put up street lights. In Lowell, for example, the city has seen a drastic spike in what it pays for charter schools from the municipal budget. And as the city manager pointed out, Lowell also needs to pave its roads and put up street lights. 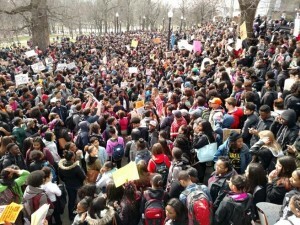 EduShyster: But just to be clear, this is entirely a suburban white movement fueled primarily by self-interest, correct? Novick: I keep hearing that and think we need to work on our geography! DESE lists 24 urban districts in the state; together, those districts enroll about 29% of kids in the state. Of those districts, all but two have passed No on Two measures. That means that of urban districts, 96% of kids enrolled are in a district where the committee opposes the ballot question. EduShyster: One of those districts is the one where you live, Worcester, Massachusetts. It’s also where I recently came across my favoritely confounding data-point. The CFO of the schools there said if the students attending Worcester’s two charter schools were to return to Worcester Public Schools, the district would have enough money to hire 150 additional teachers. My jaw is often dropped these days, but it dropped anew when I read that. Novick: This is what happens when you end up with what are essentially two separate school systems. There are issues of economies of scale here but also scarce resources. We’re already running 44 schools in Worcester and PK-12 schools have seats in classrooms now. Were Worcester to get a sudden influx of 2000 kids, across the system, many of those kids could go to existing seats. With that many kids, there certainly will be places where you’d need to add another section of English at a high school or split an elementary class due to size at an elementary school. Once all that is done, there still would be enough for more teachers and because there isn’t a need for WPS to add a principal, a business manager, an HR person, or whatever other overhead the charters carry, that ends up being money that can be spent in classrooms. We’ve had this experience, by they way, because Worcester is one of the communities that had a charter school close suddenly. The school closed its doors in October and those kids returned to the public schools. EduShyster: This week, the Globe published emails revealing that the campaign to lift the charter cap has been a tightly coordinated effort coordinated by GOP operatives. I know that, like me, you spent several hours of your life poring over these. Did anything stand out? Novick: I was struck by the amount of effort that went into the initial launch around the ballot campaign relative to the media that came from it. I’ve done those sorts of press releases before, and you’re hoping for particular things to get picked up and reported. I’m pretty sure that *how much money did you spend on large screens? * was not what they wanted reporters to ask. Then you have the Boston kids who go marching out of school, using nothing but Twitter which cost them nothing and they end up making national headlines. I was also surprised by what they didn’t know. They had the list of where they thought the senators were on lifting the charter cap. And some of them were right but some were way off base. The level of coordination surprised me. Maybe I’m naive or idealistic, but I’d imagined that the governor was somehow brought in at some point. I wasn’t expecting that this was literally being rolled out from the governor’s office. EduShyster: It is almost impossible to believe from our current vantage point, but there will come a day when we will cease to talk about nothing but Question Two. But until that day arrives, let’s talk about Question Two. What has surprised you about the campaign to lift the charter cap? I’m continually surprised at how poorly they seem to understand the communities they’re talking to and about. And they keep putting messengers out in front who are not great at making their case and come across as really unsympathetic. I can’t count the number of times I’ve been in a room where someone is making the argument in favor of charter schools where it’s clear that they’re being condescending, judgmental and dismissive. Novick: I keep coming back to the argument that UMass Boston professor Maurice Cunningham has been making about where the impetus for the campaign came from. I’m continually surprised at how poorly they seem to understand the communities they’re talking to and about. And they keep putting messengers out in front who are not great at making their case and come across as really unsympathetic. I can’t count the number of times I’ve been in a room where someone is making the argument in favor of charter schools where it’s clear that they’re being condescending, judgmental and dismissive. And it’s not just one or two individuals. At the national level, the number of people who feel like they have chits in this and have decided that the best use of their time is to spend it going after urban parents on Twitter is also bizarre to me. Or experts who decide that they need to explain to you how things really work. For example, the other day I had someone explain to me that charters don’t have kids migrating out and that they’re really doing a great job serving ELL kids. It was hard for me to convey in 140 characters just how much I don’t need to be condescended to by people from out of state when it comes to deciphering DESE’s spread sheets. This is actually part of my job. I really don’t need you to send me charts. Tracy Novick is a former school committee member in Worcester and currently serves as the field director for the Massachusetts Association of School Committees (MASC). She blogs here, tweets from here and is an expert on all things #MAedu. She speaks here for herself and is not representing MASC. Send tips and comments to jennifer@haveyouheardblog.com. Like my work? Help me do more of it. The contortions that Tracy goes through to describe how Question 2 affects all districts are impressive, but wrong. If Question 2 passes, Newton and districts like it can get new charter schools. If Question 2 fails, Newton and districts like it can still get new charter schools. It’s the cities restricted by the cap that get or don’t get charters based on the the passage of Question 2. Implying that there is a long list of suburban charter school applications waiting in line behind urban applications is unfounded and absurd. And implying that somehow the state is, under a passed Question 2, not going consider putting charters in cities at the 2010 cap so they can put a new charter in a wealthy suburb is ridiculous. demonstrated parent demand for additional public school options is greatest.” There is a lot of contorting going on, but it isn’t by Tracy. And why doesn’t the campaign put urban parents at the front of the campaign rather than having paid GOP operatives and someone who has “associates” in her Twitter handle be the face? It boggles the mind! My reading of Question 2 is that removes the cap on charters in all school districts across the state urban and suburban. It doesn’t revise or repeal existing law it supersedes it. If the plan was to raise the cap on charters where unmet demand exists now the law would be written to do that. When proponents talk about 9 urban districts they framing the question falsely. When they say charter expansion in any district does not affect other kids in that district they a making claims that are not true. When they fail tell the public that 30-57% of the kids who matriculate into a charter school will be leave before graduation they are misleading the public about the promise they offer. Mathteacher, I wonder whether, as an experienced teacher, you may have suggestions as to how best to correctly convey the reality of how many communities would one expect to be affected by the cap lift over the next decade? I once tried an analogy like this (with limited persuasive effect): Suppose there was a cap on the number of home runs a major league baseball player was allowed to produce in a season. Let’s say 34. And there was a proposal to lift that cap to 40. How many Red Sox players would, realistically, have their home run hitting productivity affected by a cap lift like that? Looking at this, my answer would be very, very few. Though all bets are off if there were a subsequent ballot question to lift the ban on steroids. It would seem obvious that as more charter schools are created, there will be more requests coming in for expansion and the notion that there will regularly be more than 12 total applications each year seems well supported. To give her credit, Novick’s statement about how few new schools have been chartered in the past certainly helpfully debunks the silly projection that Boston alone would have 3 new schools a year, every year. A question for Edulosopher… Is it sometimes justified to be “condescending, judgmental, and dismissive”? A question for Jennifer, how can others of us ever learn to do it as brilliantly well as you ;-)? I don’t have any insights into the pace of charter expansion that’s envisioned in Boston and the other 9 cities that will be affected by the cap lift as I wasn’t on the weekly strategy calls. But it’s hard for me to believe that proponents would embark on a 3 pronged strategy aimed at all three branches of government and enlist their allies in a $30 million spending spree whilst also seeing the goal of three new schools in Boston per year as “silly.” There’s a theory of change at work here and it’s nothing if not ambitious. On the issue of graduation rates, I keep coming back to the raw numbers on those Boston Foundation Report Cards. You’re in a lather because the No On 2 side keeps referencing the 2015 report card when there were 33 charter college completers from five charter high schools and 2016 when there were 43. Is that right? Finally, if the charter high school success model requires five years for substantial numbers of kids as you’ve been arguing, I’m curious about how that’s going to look from a systems perspective as it entails investing significantly more resources into fewer kids. Is five years going to be the new four years? I’m curious how you see this. And thanks as always for commenting! Thanks for solving for me the mystery of why I’m so eager to stick the “e” in judgmental. Too much Dickens in my childhood. I had to restrain myself, check how you’d spelled it, and follow your lead. No, no, no. The excuse for my entirely unlathered judgmental, dismissive, condescension on the subject is that they keep MIS-referencing the Jan, 2015 Report Card as if their claims about the underlying data were even true, which it ain’t, let alone representing the latest and greatest out of DESE. The Report Card published a year later is a problem for them, because even if they were to similarly MIS-reference the data in it, it wouldn’t look good for ’em. So they ignore that one. With the Report Card published in 2015, if you pretend that the college completion figures _for those who enroll in college_ represent instead the figures for _all_ graduates (while ignoring the fact that a higher proportion of graduates at the charters do enroll) then you can mislead the unwary. Doesn’t work so well for the Card published in 2016. Sean, by the way, I’m categorizing among the misled, rather than an intentional misleader… he looks and sounds like a well-meaning, honest chap to me. Myself, I tend not to reference DESE graduation data much in this controversy (other than as a frequent reflexive response to others doing so) since DESE’s methods of calculating those rates has the potential to make charter schools look excessively good, by removing outgoing transfers from the cohort. When we see a local charter school with a high grade-level retention rate together with low drop out and attrition rates, it may make sense to imagine that a significant number of those retained might otherwise have dropped out, or graduated ill-prepared. I find this from the state charter association: “Nearly half (44%) of all high school graduates from BPS’s non-exam schools needed remedial courses in college compared to 10% of Boston charter graduates.” My understanding is that such remedial courses can be expensive and need to be completed without credit prior to students starting a regular course load. While I think charter schools retaining kids who are seriously struggling academically for an extra year is a point in their favor, as you suggest it does need to be considered in understanding impacts on local, state, and federal budgets as well as on low-income household budgets. Short-term local cost, long-term gain broadly considered? Question 2 proponents, those out of staters, thought this proposal would be an easy-peasy walk in the park, ending with pockets full of cash for the charter industry, taken from our local public schools. Being out of touch, as well as out of state, they have discovered they were wrong. Belatedly, they are trying to reframe their proposal, which contains no language about limiting it to 9 districts. It’s really amazing, given the level of money, experience and supposed expertise invested in passing 2, just how bad the charter backers are at this. If you want to do something for poor urban students, vote no on #2. For example, listen to Marshfield School Committee chairman, Sean Costello, in his October 24th debate with Marty Walz on Greater Boston. Looks to be misunderstood out-of-date information… He may believe the current Save Our Schools flyer, although I had started warning Mass. Association of School Committee (MASC) staff to be wary of that kind of misinformation starting last December. The Mass. Association of School Committees has provided additional inaccurate information to its membership, at times interspersing it with, at best tangential, quotes from Auditor Bump, presumably believing that that adds credibility. That certainly undermines my sense that the School Committees have generally stayed up-to-date and well-informed about the pertinent issues. “ * For every ten females enrolled in grade 6 in an urban charter school, slightly more than four are gone by grade 8: An enrollment loss of 41 percent. “ * For every ten males in grade 6 in an urban charter, slightly fewer than four are gone by grade 8: An enrollment loss of 38 percent. “Female enrollment loss from grade 9 to grade 12 is 49 percent and male enrollment loss is 52 percent. For every ten students enrolled in an urban charter in grade 9, five have left by grade 12, with four leaving between grades 9 and 10. That all relies on the patently false assumption that downward shifts in class size inevitably means that the difference represents a “loss” of students, represents “missing students” who “have left”, who “are gone”. That was a principal supposition of the 2009 study for the Mass Teachers Association by the same author. 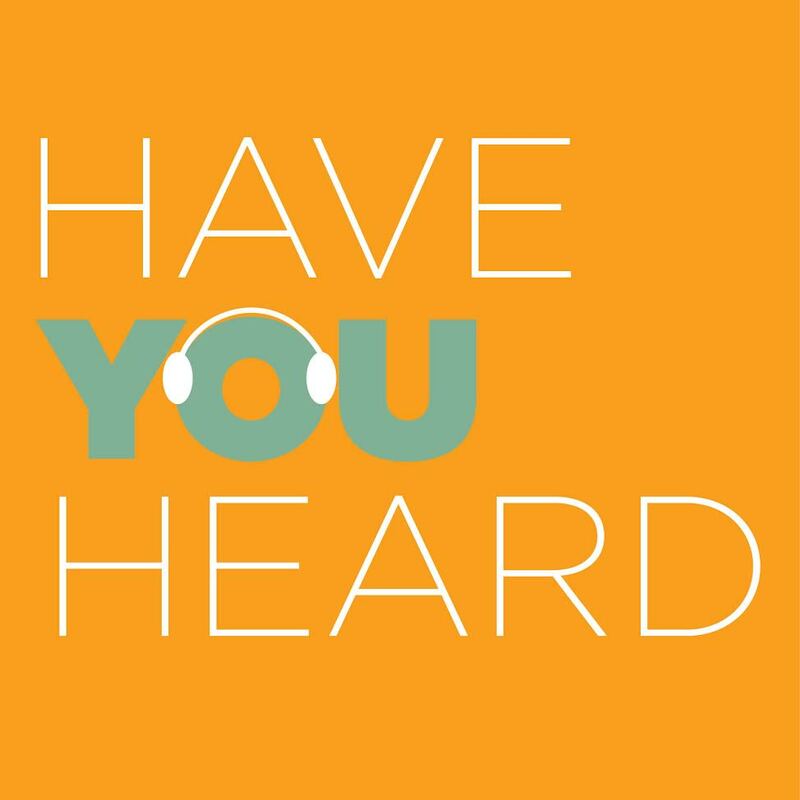 “There are two potential sources of bias in graduation/dropout estimates and indicators which compare enrollments in the senior year to enrollments in the freshman year or enrollments in one year to graduates in another that are commonly mentioned in critiques of these measures. “The first is ninth grade repeaters. One potential weakness of using a promoting power measure as a proxy for the dropout rate is that ninth grade enrollments could include a large number of students who are repeating the ninth grade and could, in theory, go on to graduate in large numbers. However Massachusetts charter schools often do represent a “strong and sustained intervention” for a significant number of their students. Is there grade-level retention among charter schools here that skews data significantly, invalidating the MASC analysis? Indeed. A front-loaded grade-level retention pattern like that severely skews enrollment in ways that can lead to unjustified accusations that the school is “losing” students when in fact they are actually retaining them for an additional year! Starting in December of last year, on multiple occasions I alerted MASC and related parties to this kind of error, which is prominent in their materials. At first I assumed that the errors were just an oversight by the author and MASC, but over time the possibility that it is knowing and deliberate distribution of misleading materials in a format that gives the misimpression that it is consistent with the State Auditor’s findings has seemed increasingly likely.